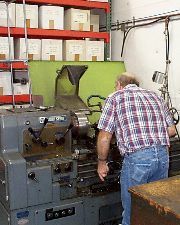 To complement our CNC Machines, Monroe Machine Products possesses a completely equipped tool and cutter grinding room. 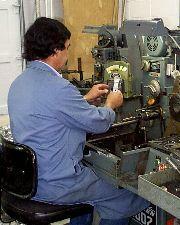 The large range of grinding machines allows us to sharpen all our own tools in house, keeping our machine down time to a minimum. We also keep a large inventory of tools on hand. Two Sunnen hones allow for close tolerance hole and bore sizing, in tooling and manufactured parts. 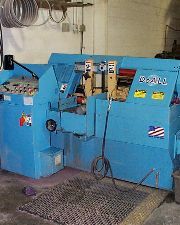 DoAll vertical and horizontal saws allow for blank preparation prior to machining. We also have a full complement of manual machines used for building tooling and for performing second operations on CNC machined parts. 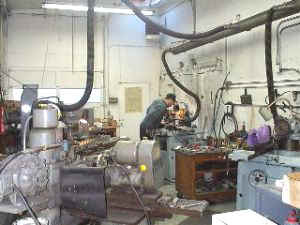 The list includes several manual vertical mills, an engine lathe, drill presses, grinders, sanders, and deburing equipment.